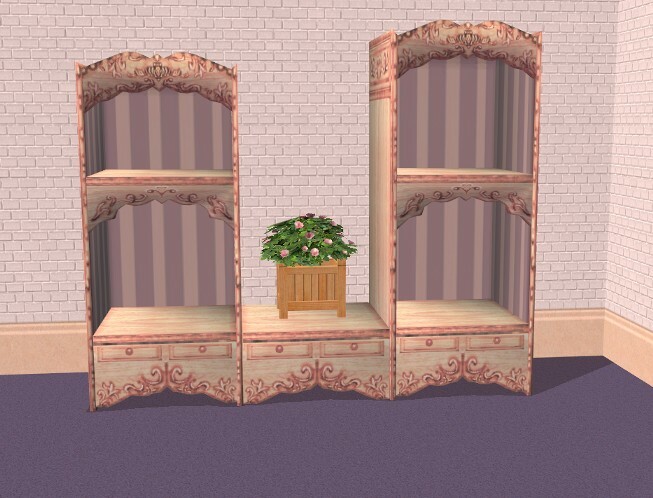 OFB by default is lacking some nice wooden business shelves (I don't like the plastic ones!) so here's a set. It includes a regular sized shelf and a matching tall shelf and pedestal. 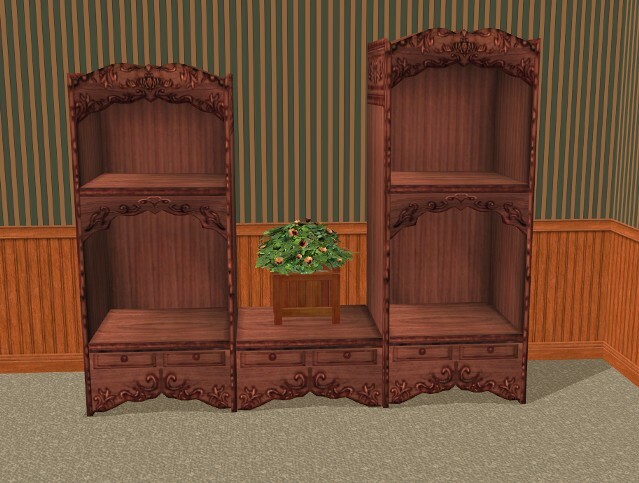 Unlike the plastic shelves, they look nice enough to use around your home as a place to put toys or knick knacks.